Welcome to our Reception KB class blog! Mrs King and Mrs Bowden. 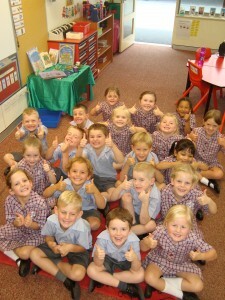 We are from ‘School of the Nativity’ which is located in Aberfoyle Park, South Australia. Our school is part of the ‘Aberfoyle Park Primary School Campus’. We share the Campus with two other schools, Pilgrim and Thiele. In our class, we enjoy learning new things, interacting with our friends and having fun!!! We hope you enjoy exploring our class blog!